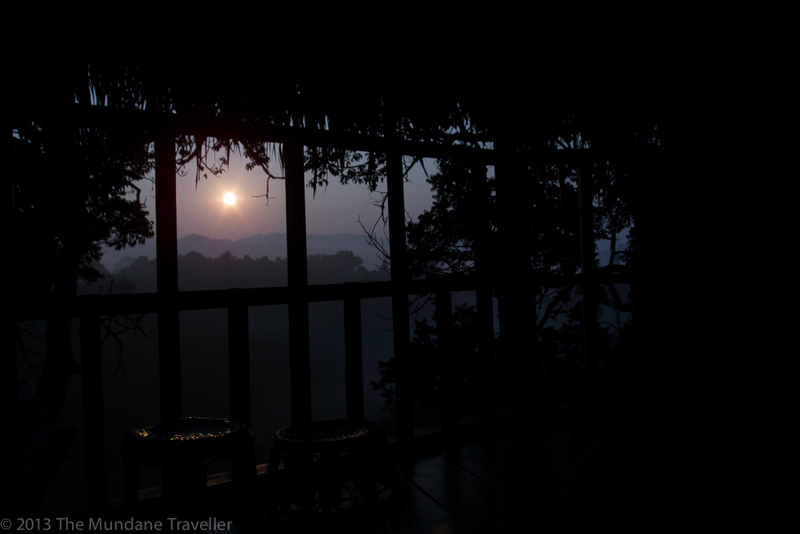 This is not the sun, it is the full moon at 5am shining into my tree house in the jungle of Laos! 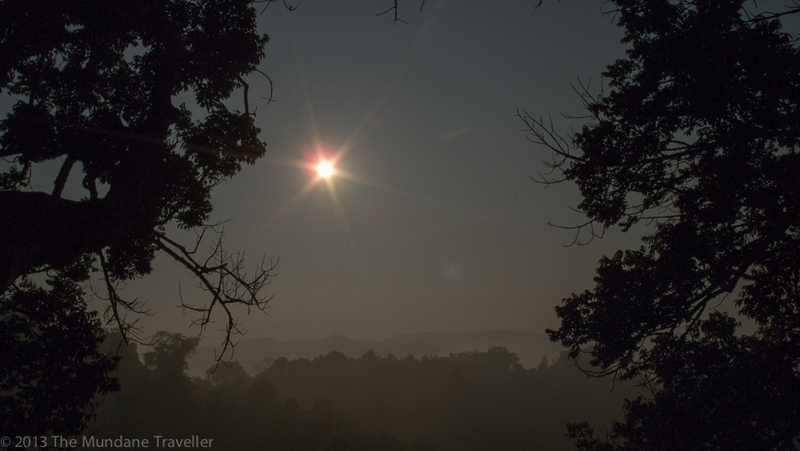 It was one clear full moon light and I was waking up from the sounds of animals. It was 4:30am, the bright light of the moon was shining through my mosquito net. This moskito net happened to be in a tree house in the middle of a jungle in Laos. This was my first night of the Gibbon Experience (please see this blog entry). A few hours before I fell asleep early at 9pm due to lack of electrical lighting and other distractions of modern life. With nothing to do I sneaked around the tree house to find my cameras (Nikon D90 with a Nikkor 35-70mm/2.8 and Olympus XZ-1). Luckily nobody woke up – my steps were muted by the snoring of one of the other nine people in the treehouse. Snoring as white noise, an annoying sound used in a proper way! I took the photos with an exposure of 30 seconds (D90 at 35mm) / 60 seconds (XZ-1), so I was only able to take a set of about 20 photos from each camera, as it took 2min per shot, so I ended up using 1 hour of time to get two good shots.